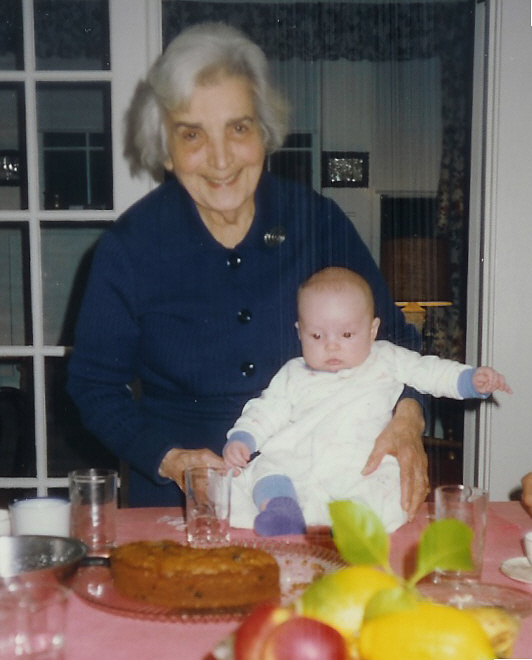 Our mother — our teacher who inspired us, who raised our horizons for justice in our world, who showed by example — passed away peacefully at her home on January 20th, 2006 in her one hundredth year. Every day more and more of you have contacted us to express sorrow and remember her and what she accomplished so cheerfully and seriously. I believe it is appropriate to attach a brief family narration of Rose Bouziane Nader’s refreshing life as it was given to the reporters earlier this week. Also included are associated comments, for all of you who rallied to the causes that she and all of us together have held so dear. Rose Bouziane Nader, who raised a family of civic activists by her teaching, writings and personal example, died on January 20 in her 100th year at her home in Winsted, Connecticut. The cause was congestive heart failure, according to her daughter, Claire Nader. Born in Zahle, Lebanon on February 7, 1906, Rose Nader became a high school teacher of French and Arabic. She married Nathra Nader in 1925, and emigrated to the United States shortly thereafter, settling with her husband, a businessman, in Danbury and then in Winsted, Connecticut where they raised four children. She is survived by a sister, Angele Bouziane Mokhiber, of Pittsburgh, Pennsylvania, two daughters, Dr. Claire Nader of Washington D.C. and Winsted, Connecticut, and Anthropology Professor Laura Nader of Berkeley, California, a son, Ralph Nader of Washington, D.C.; three grandchildren and three great-grand children. She was predeceased by her first son, Shafeek Nader, the principal founder of the Northwestern Connecticut Community College, in 1986 and by her husband in 1991. In the nineteen fifties, after the destructive hurricane and flood of Winsted in 1955 — the third disastrous flood there in thirty years- she famously pressed then Senator Prescott Bush in a public gathering to pledge to push for a dry dam by not letting go of his handshake until he had promised to do so. And it was built. No more floods since. After the flood damaged the local movie theater she also arranged for a community room at the local YMCA to be devoted to the recreational needs of local youngsters who otherwise might be loitering on the streets. She also initiated and led the Women’s Club International Relations Committee, bringing distinguished speakers to the Town to inform the citizenry about world affairs. Mrs. Nader was active in adult education in Connecticut, where she and her students were featured on a statewide television show in the nineteen fifties. Her public interests ranged from the local to the state to the global level, as a member of Peace Action, Co-op America, and as President of The Shafeek Nader Trust for the Community Interest. She fought for the expansion and later the preservation of the Winsted Memorial Hospital. In 1991, after years of orally responding to questions from people curious about what formula she used to raise her children, she authored the book It Happened in the Kitchen, which contained her philosophy of child-rearing, the intimate connection between good food and diverse kitchen table/family conversations and some 100 recipes to nourish this food and thought combination. The last segment includes many perceptive observations by her husband, Mr. Nader, during discussions with their children. She was featured that year on the Phil Donahue Show with her book, which received wide circulation. One of the recipes presented on the show was hummus! Mrs. Nader was a contributor of articles to several publications, including one in the New York Times on the irony of those common assurances of credibility (“in all honesty,” “to be perfectly frank,”), which have the unintended effect of undermining the speaker’s previous statements. In the U.S. Postal Service’s magazine she wrote praising so-called “junk mail” from citizen organizations that do inform you about what is going on in their world and give you a choice to help expand their efforts. To her young children, Rose Nader would explain health care just when they were most receptive–lying in bed with childhood ailments. To her growing children, she would teach about priceless things by asking them the price of sunshine, or songbirds or cool breezes. She declined to read to her little ones, preferring to draw on her wide historical and literary memory and speak directly to their eyes so as to discern their reactions and expressions. When her children came home from school for lunch, she would relate installments of an historical saga. While at the evening meal, she listened to the children talk about what the school day was like. A practicing advocate of the uses of proverbs to raise children and enrich adult conversations as well, she was collecting Arabic proverbs used liberally in her own family upbringing and community in Lebanon with a view of compiling them in a book. A memorial service will be held at a date to be determined. Memorial contributions may be made to The Shafeek Nader Trust for the Community Interest, an educational foundation, PO Box 500, Winsted, CT 06098. The above was written by the Nader family on January 23, 2006.